Donnie as Billy the Kid (Purgatory). 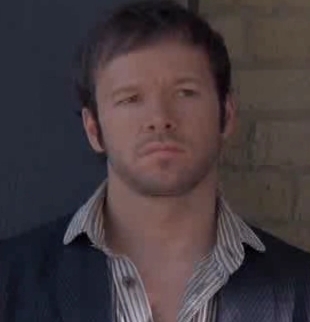 Donnie's role in the 1999 TV-movie Purgatory. Wallpaper and background images in the Donnie Wahlberg club tagged: donnie wahlberg billy the kid purgatory 1999. This Donnie Wahlberg photo might contain well dressed person, suit, pants suit, pantsuit, portrait, headshot, and closeup.